This program is recognised worldwide and a part of our conservation work to help the orang utans and raise fund to take care of them. This program is suitable for schools, corporate social responsibility, organizations, churches and anyone with a keen interests to know more about our distance cousins. 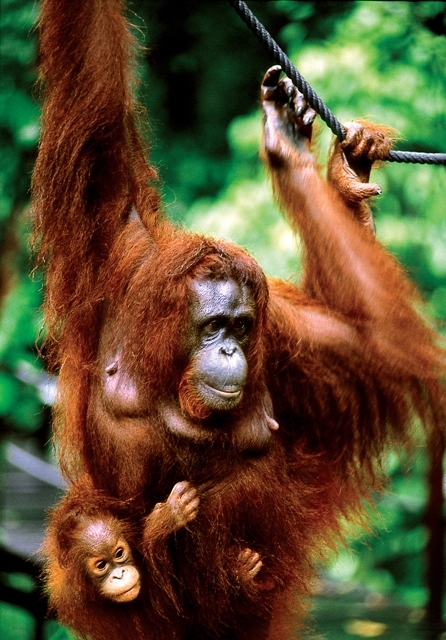 Orangutans are endangered species, they are only found in the rainforests on the islands of Borneo and Sumatra. At Matang Wildlife Centre, the orangutans were brought to the centre through a few different channels. Some are captured when they are found injured in the wild. Some are confiscated from their owners while attempting to be smuggled out of the country. The children are sometimes found abandoned when the parent(s) have been shot by poachers. If they are not rescued, there is an extremely high chance that the orangutans would die or be killed in these situations. 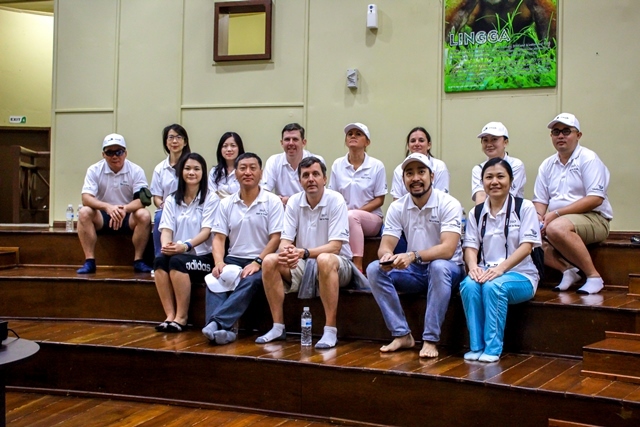 The Heart2Heart with Orangutan Volunteer Programme in Sarawak is one such volunteer tourism programme where participants voluntarily pay to work at the orangutan rehabilitation centre. It aims to showcase the orangutan conservation efforts in Sarawak to the global community and to raise awareness on the importance of saving the orangutan from the brink of extinction. As a treat for putting in a hard day’s work, volunteers are transported to the Semenggoh Wildlife Centre to see the rehabilitated orangutan family in their natural surroundings. In the morning at 7:30 am, we will pick you up from the hotel. We will proceed to Matang Wildlife Centre which is about 45 minutes drive from Kuching city. Upon arrival at the centre, the participants will have a seminar session by the park manager at the auditorium. Then, we will have a short tour around the park and be introduced to the various animals and birds there besides the orang utan, After that, we will proceed with the conservation work, starting with cage cleaning & preparing food for the orangutans. Volunteer work and enrichment program. We will then walk over to the lighthouse and see the other orang utans in their big park. Then we will return to the Matang Centre. After a short photography and certificate giving session, at 12:00 pm, we will have lunch either at the centre or at the local restaurant. Then, at 2:00 pm, we proceed to Semenggoh Orang Utan Rehabilitation Centre. The journey from Matang Wildlife Centre to Semenggoh Orang Utan Centre takes about 1 hour and 15 minutes drive. You will be arriving on time for the feeding time at 3:30 pm. Semenggoh Wildlife Rehabilitation Center is located about 22km from Kuching. It is the only one of its kind in Sarawak. Set up in 1975, this 740 hectare of virgin forest is home to orang utans, honey bears, hornbills, porcupines, storks, eagles, barking deer and monkeys. Most of these animals were rescued from captivity and are being rehabilitated here in their natural surroundings. You will be able to observe how the orang utans are being rehabilitated and trained to fend for themselves before being released into the wild. Visitors are allowed to study observe and take pictures of the orang utans at a distance.